So as I always do when I am up late, I usually leave the late night talk shows on TV while I am playing Eve Online, World of Warcraft, or recently Starcraft 2. 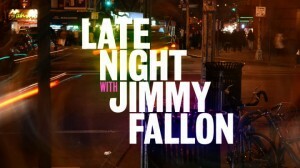 However on this evening Late Night with Jimmy Fallon caught my eye. Every so often Fallon does a bit on his show where he attempts to break or create world records. Usually they are silly and are ideas no one has thought of or attempted before. Well as an official record, Jimmy Fallon has played the most different gaming consoles in 60 seconds. They rolled out a long table with 10 consoles on them. They consisted of Nintendo Entertainment System (NES), Super Ninteno, Sega Genesis, Nintendo 64, Dreamcast, Playstation, Playstation 2, Xbox, Playstation 3, Wii, and Xbox 360. All consoles were on and loaded with game classics ranging from Legend of Zelda to Crazy Taxi to Tomb Raider to Halo. All Jimmy had to do was basically move a little in each game for the record to count. He was doing great up until the Wii. Apparently he couldn’t get the sensor to pick up the Wii-mote quick enough causing him to spend precious seconds trying to get it to work. He eventually gave up on the Wii and moved to the 360, which was the last console, but the time wasted on the Wii made him run out of time before anything could be done on the 360. So as the record stands Jimmy Fallon has played 9 different consoles in 60 seconds. Gratz to Jimmy, but I am sure in the next few days someone will have a video on youtube beating the record.